William Rosecrans was born in Delaware County, Ohio, on September 6, 1819. At the age of 18 he was appointed to West Point through direct application to the secretary of war, and graduated fifth in the class of 1842, which also included many of the Confederacy's future generals such as Rains, Hill, Anderson and James Longstreet, as well as the Union Army's Pope. Rosecrans was nicknamed "Old Rosey" at West Point, a nickname which followed him throughout his life. Married in 1843 to a native New Yorker, he was assigned to be assistant professor of engineering and natural philosophy at West Point, where he served for four years. He was then sent to oversee engineering works at various places along the east coast. He resigned his commission in 1853 and became a civil engineer and architect in Ohio. 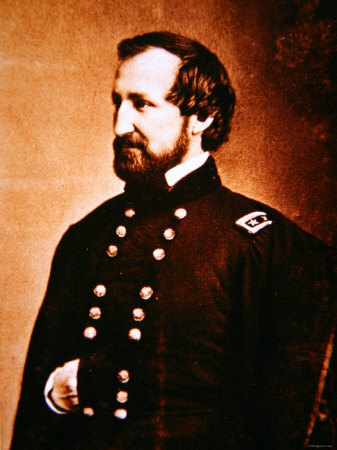 When the war broke out Rosecrans joined McClellan's staff as the chief engineer and aide-de-camp. On June 21, 1861 he was commissioned colonel of the 23rd Ohio, receiving his commission of brigadier-general for days later. 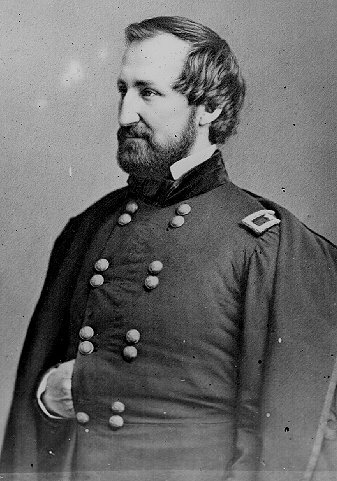 He then commanded a brigade in McClellan's western Virginia campaign, where his name attracted public notice. Rosecrans had a way of winning the trust of the common soldier. 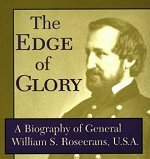 A soldier in the 9th Ohio recalled that when Rosecrans assumed command of his brigade he visited each company, "addressing to each a kind word and a quip, sometimes clever, sometimes not, but always apposite to the unit at hand.... General Rosecrans soon enjoyed increased trust with every last man of the corps." General Rosecrans was given command of the left wing of the Army of the Mississippi in the campaign that took Corinth after Shiloh. When Pope went East, Rosecrans took over his command, being named a major-general of volunteers from March 21, 1862. 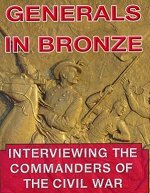 He did not distinguish himself in the battles of Iuka and Corinth where his laxity frustrated Grant's plans for a double envelopment of Van Dorn's forces. He was sent to relieve Don Carlos Buell in Kentucky, this command now being called the Army of the Cumberland. After fighting off Braxton Bragg at Murfreesboro (Stones River), he fell back to aline along the Duck River. In June 1863, Rosecrans began a campaign of maneuver that ended up with his troops taking Chattanooga bloodlessly. The Confederates struck back at Chickamauga battering the Union Army: James Longstreet exploited a gap which Rosecrans' deployments had created in the Union center, and the day was saved largely by George Thomas' hard-fought defense. Nevertheless Rosecrans ended up besieged by Bragg in Chatanooga, with only a rugged mountain trail for resupply. Grant was sent to relieve him in October 1863. After the war in 1868 Rosecrans became Minister to Mexico, but he was removed from that office by President Grant a year later. He then retired to a ranch near Redondo Beach, California. 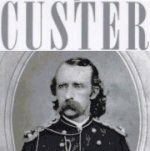 He was elected to Congress from there, becoming chairman on military affairs and serving until 1885. From then until 1893 he was registrar of the Treasury. He died at his California ranch in 1898. Originally buried in Rosedale Cemetry, Los Angeles, his body was re-interred in Arlington National Cemetary in 1902.